Box Office > New movies in theaters – A Quiet Place and more! New movies in theaters – A Quiet Place and more! 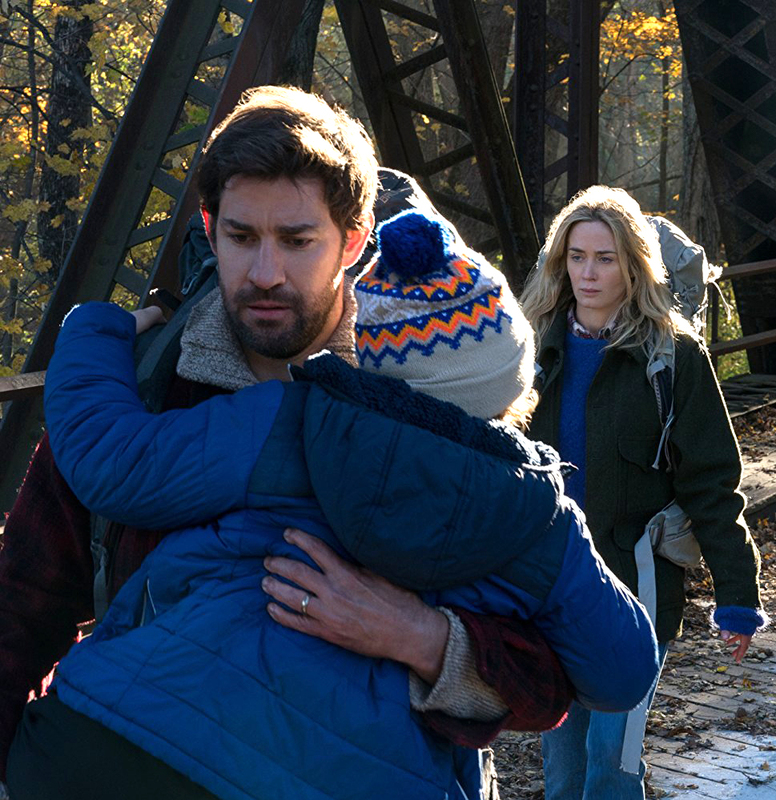 A Quiet Place, directed by and starring John Krasinski alongside his real-life wife, Emily Blunt, hits theaters nationwide today. Also opening wide is the comedy Blockers and the inspirational biopic, The Miracle Season. Check out all the new movies in theaters this week! A Quiet Place – A father (John Krasinski), his wife (Emily Blunt) and their children live in fear of making a noise and attracting creatures who locate prey by sound. Click here to read our review and make sure to watch our interview with John Krasinski about the film. Opening wide. Click here for showtimes. Blockers – When three parents (Leslie Mann, Ike Barinholtz, John Cena) find out their three daughters plan to lose their virginity on prom night, they launch a covert one-night operation to stop the teens from sealing the deal. Opening wide. Click here for showtimes. The Miracle Season – A team of high school volleyball players, led by their coach (Helen Hunt), suffer a tragic loss when their star player, Caroline “Line” Found (Danika Yarosh), is killed in a crash. Heartbroken, the team has to pull it together in Line’s memory if they want to be be State champions for the second year in a row. Opening wide. Click here for showtimes. Chappaquiddick – After midnight on July 18, 1969, Senator Ted Kennedy (Jason Clarke) was driving a car with Mary Jo Kopechne (Kate Mara) inside. While going over a bridge, Kennedy lost control and the car plummeted into water. He managed to get free and walked away, leaving Mary Jo to drown. His father Joe (Bruce Dern) enlists spin doctors to cover up the incident. Opening in limited release. Click here for showtimes. Final Portrait – In 1964, during a trip to Paris, American writer James Lord (Armie Hammer) is asked by Swiss painter Alberto Giacometti (Geoffrey Rush), to sit for a portrait. Giacometti promises the portrait will take only a few days. Flattered, Lord agrees and an offbeat friendship begins. Opening in Toronto and Vancouver today, and in Montreal on April 20. Click here for showtimes. Allure – When a family gets a new house cleaner named Laura (Evan Rachel Wood), she bonds with their teenage daughter, Eva (Julia Sarah Stone), pretending to like the same music. After Eva and her mother have an argument, Laura comforts the girl, while making romantic advances. Before long, Laura has convinced Eva to run away with her. Opening in Toronto. Click here for showtimes. A Quiet Place debuts as the weekend box office champ!